Go undercover with these eye-catching Israeli Mossad Shirts and Mossad Hoodies to express your respect for the most elite secret service organization in the world! This eye-catching MOSSAD shirt includes both Hebrew and English inscriptions and sports the Hebrew insignia "Institute for Intelligence" while incorporating a Star of David into the Mossad caption - all designed in the spirit of the awesome Israeli intelligence agency. 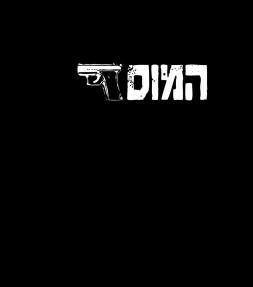 Our Mossad shirt has the word "Mossad" boldly written in Hebrew on the front of this fantastic shirt along with a serious looking authentic revolver! 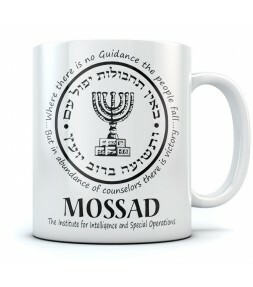 The MOSSAD, one of the world's best intelligence agencies. They watch over us, so we can sleep better knowing their vigilant eye is keeping us safe. 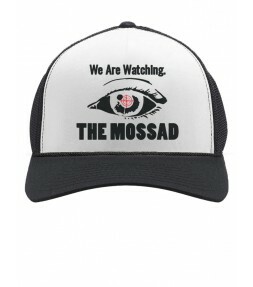 A classic cap design to remind us that threats are being neutralized all around us , thanks to the brave man of the MOSSAD! 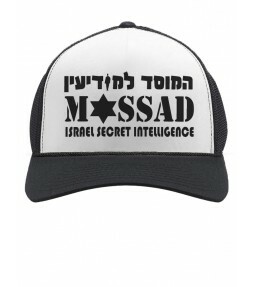 With this Hebrew Mossad Cap, there are no flashy designs to give away your position - just a clear logo on your Cap that says all that people need to know. Our screen printed Mossad shirt with its bright red target graphically gets the point across quite clearly! It only takes one shot for these men and women to complete their mission successfully! 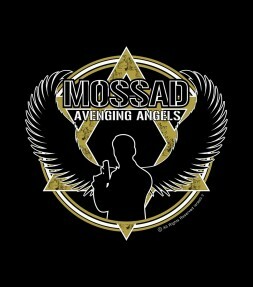 Honor the avenging angels every time you wear this Israeli Mossad shirt and show the world that the Mossad is not just some special operations unit - it is the most elite and top secret organization in the world. 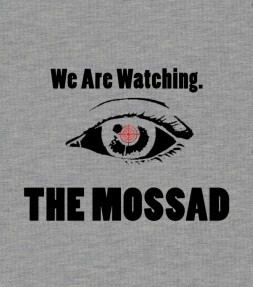 This eye-catching Mossad shirt shows the world your respect for Israeli Mossad and has an action-oriented design that perfectly embodies the strictly undercover Israel spy organization. 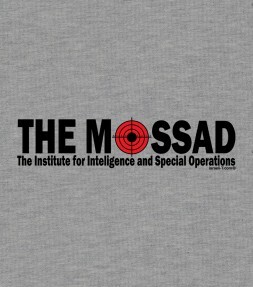 The "Mossad Institute for Intelligence and Special Operations" in Israel that is depicted on this Mossad shirt happens to be one of the most respected and feared intelligence law agencies anywhere, performing covert undercover law enforcement operations all over the world! 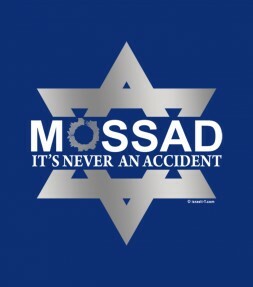 This Israel Mossad shirt makes it very clear! 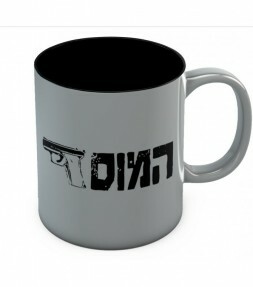 Featuring the "Don't mess with the Mossad" slogan written above a pointing pistol. 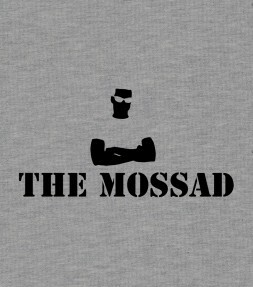 As this Mossad shirt proves, there has been massive hype around the "Israeli MOSSAD". Frankly, they deserve it. Shrouded by an eternal cloud of mystery, the MOSSAD is responsible for some of the greatest covert operations in history. 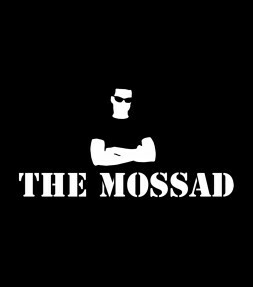 Meet the Mossad! 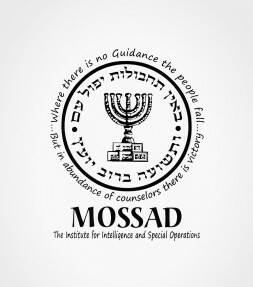 Known all over the world as one of the best and most secret Intelligence agencies, the Mossad only recruits the best of the best - many apply but few are chosen! Knowing when, where and how things will go down is all in a days work and an integral part of this highly covert intelligence operations team from Israel. 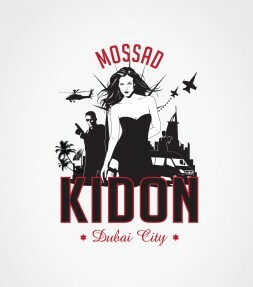 Our Dubai assassination Mossad shirts are back and bigger than ever! This bombastic retro style shirt design sports the caption MOSSAD and uses a play on the well known American tourist-site phrase "Virginia is for lovers". 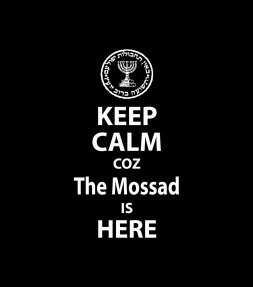 "Keep calm cuz the Mossad is here" is a classic Mossad shirt that will remind you and your friends that the Mossad is always there, somewhere to protect you. 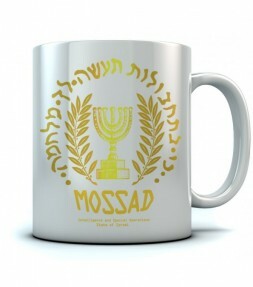 Get this original Mossad design and support Israel!! 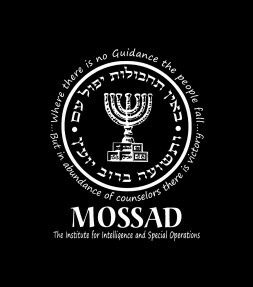 The Mossad is one of the best and most secret intelligence agencies in the world. You never know who may be watching, so be careful out there in the streets! 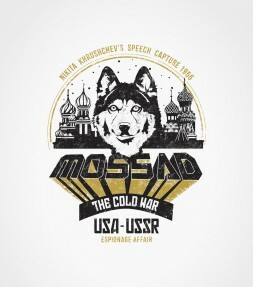 This iconic Mossad shirt commemorates an epic undercover event during the Cold War when the Israeli Mossad was the first intelligence agency to obtain a copy of Nikita Khrushchev's Secret Speech denouncing Joseph Stalin. 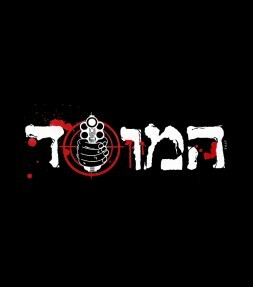 This awesome Mossad shirt features a deadly design, with Mossad written in Hebrew letters and a sniper target. 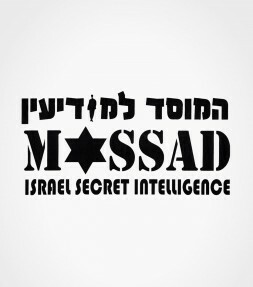 This graphic israeli-T design will show your respect for the Israeli Mossad - one of the most top secret organizations in the world, with special operations forces that leave no traces and only rumors of their operations. 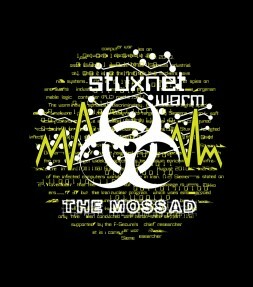 This Mossad shirt commemorates the cyber attack known as Stuxnet, a computer worm that many believe was created by Israel and the U.S. in order to penetrate and damage the Iranian nuclear facilities. Hey you! Yeah you, Mr. Tough Guy in black! Be part of the action and show off your strength and cunning in our unique screen printed Mossad shirt! 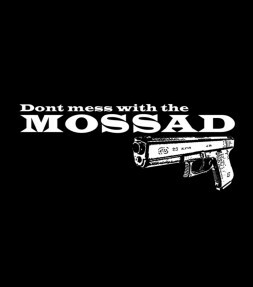 This awesome Mossad shirt features a deadly design, Mossad's special way of sending a message to those who threaten Israel! This Mossad Star of David crest insignia will express your respect for the Israeli Mossad in a unique design that will definitely be noticed by everyone that sees it. 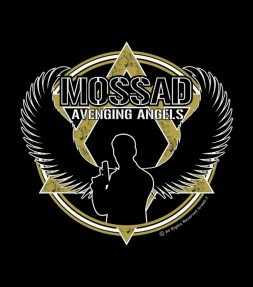 The Mossad never forgets - and this "Avenging Angels" crest design is a tangible reminder that fact. 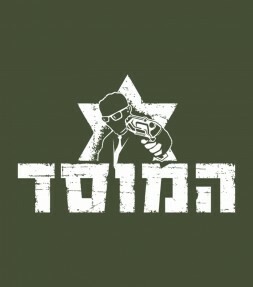 This awesome Mossad shirt features a deadly design, with Mossad written in Hebrew letters, a Star of David and an agent! 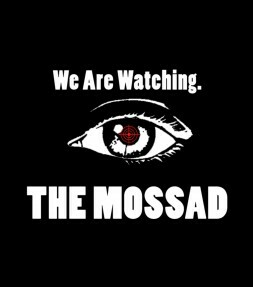 If you have ever wanted to feel like an official member of the Israel Mossad and display your personal support for Israel proudly, our Mossad T-shirt designs will be perfect for you as well as for others who feel the same way that you do! 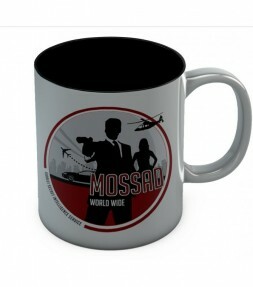 Featuring popular designs that show respect for the Israel Mossad and their secret missions, our Mossad T-shirts, Mossad hoodies as well as the full array of other urban styles here will clearly allow you to show your dedication to the Mossad forces as well as your support for the State of Israel! Show the world that the Mossad is not just some special operations unit - it is the most elite and top-secret intelligence organization in the world! 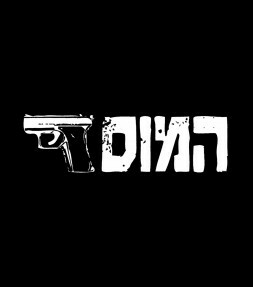 These powerful Israeli Mossad T-shirt designs are visible proof of unbending support for the country of Israel! 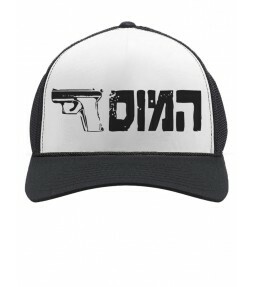 The popular fashion styles come in a wide selection of action-oriented designs that perfectly embody the strictly undercover Israeli spy organization and the high-quality cotton fabric is comfortable in all types of weather making it fit for the ultra-secret clandestine force that is dedicated to protecting Israel and its citizens worldwide. 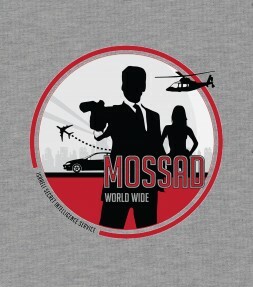 Our dedicated Mossad shirts will make you look like a real agent from the world-famous Israeli spy organization and will also let you show everyone just who you think does it best! You may probably even start to experience the additional powers of stealth from the moment you proudly put this Mossad t-shirt on. 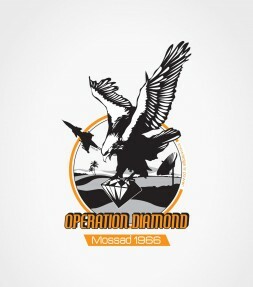 Including a wide selection of unique designs that feature distinctive Special Operations Group emblems in both English and Hebrew titles, these Israeli Mossad T-shirts will cause you to feel like an integral part of the IDF special operations unit missions anytime and anywhere, day and night. If you are looking for a good way to inform others just what you are capable of, these Mossad tee shirts are the perfect way to make sure that the calm is kept by all and will turn you into a clandestine operative whenever you wear it. Express yourself as an honorary member of the elite Israeli force of undercover fighters with our eye-catching Mossad T-shirts and accessories that will clearly show your dedication to the force as well as your support for the State of Israel! 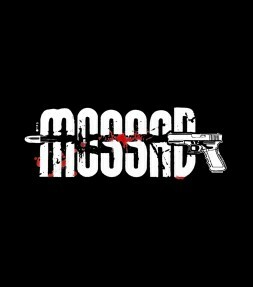 Made from comfortable top quality combed cotton fibers and available in a selection of popular colors, all of our Mossad T-shirts come in a number of different urban-wear street styles including Mossad hoodies, Mossad jerseys, Mossad tank-tops and even fashionable Mossad hats for members that operate in all kinds of weather. OVER & OUT! 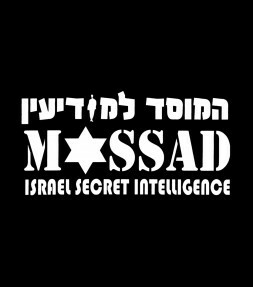 Arguably one of the most famous and recognized name in the world, the Mossad is the national intelligence agency in Israel. The full name of HaMossad l'Modi'in v'Tafakidim Meyehudim (המוסד למודיעין ולתפקידים מיחדים in Hebrew) translates to the “Institute for Intelligence and Special Operations”. Many movies and books have been written about the elusive agency, such as the Hollywood movie “Munich” about the highly publicized event at the 1972 Summer Olympic games. Membership is very exclusive and prestigious within Israel. Rarely, outside citizens are recruited for their special knowledge of cultures and countries. All agents are required to speak Hebrew and most likely, another one or two languages. Currently there is only approximately 1,200 employees of the Mossad out of 7 million citizens of Israel. Many men and women apply, but very few are accepted into the rigorous training program. There are even some who are accepted but cannot complete the training for various reasons. Agents are sworn to ultimate secrecy and allegiance to the agency, to the point of committing suicide before allowing anyone to know they are Mossad agents. which may include political assassinations and facilitation of aliyah (immigration to Israel) where it is banned when necessary. Working with the military intelligence, OADNA and the Shin Bet (national security), the Mossad can be compared to the workings of the Central Intelligence Agency (CIA) and the Secret Intelligence Service (Britian's MI6). There are no military rankings as most employees have been officers in the Israel Defense Forces and it is assumed there are up to eight different departments within the organization. This t-shirts was featured in a broadcast in an all news channels in Israel. Known for the smartest and toughest operatives, it is not hard to see why the Mossad and anything or anyone associated with them, gains a lot of respect automatically. 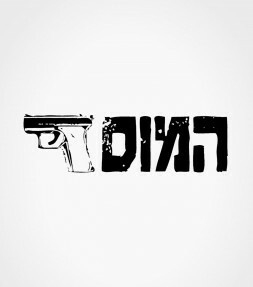 By wearing our Mossad t-shirts with authentic and correct Hebrew lettering, you can bring that same mystery and respect to your wardrobe everyday. With designs featuring the typical gun used by agents, to red bull's eye targets, our t-shirts capture the prestige it means to serve with the Mossad. Israel-T carries only the most prestigious Israel t-shirts, special forces t-shirts, IDF t-shirts and our Mossad t-shirts are no exception. So come out from the cover of night, show off your cunning intelligence and enjoy these highly sought-after Mossad t-shirts, straight from the country they live to serve and protect – Israel! לאחר התקרית בדובאי שבה חוסל בכיר החמאס מחמוד אל מבחוח קושר המוסד לפרשה. חולצות המוסד הפכו ללהיט בקרב חובבי ישראל וחולצות אלו פורסמו בערוצי הטלוויזיה והעיתונים היומיים.